You're sending your son or daughter off to a sports camp this summer, but do you have everything you need to pack for them? Trying to remember everything can be overwhelming at times. Though the camp may send you a packing list, it's possible that the organizers didn't include everything your kids will need. Whether it's a day camp, an overnight camp, or a week filled with your child's favorite sport, let's review a list of supplies you should pack. Also, don't forget to label everything. Many sports programs offer day camps only. Though you won't need to pack a lot of items, it is good to send your child off with supplies to get him through the day. A windbreaker or sweatshirt in case of chilly weather or rain. Any medications your child takes regularly or might need (find out the camp's policy on this in advance). Appropriate sports equipment and safety gear; make sure everything fits and is in good shape. Overnight sports camps, whether a single night or a full week, will require more preparation and things you need to remember to pack. You want to ensure your child has everything needed to do the day's activities and sleep comfortably at night. Workout clothes, safety equipment, special footwear such as cleats or ice skates, and so on. Double-check in advance that everything fits well and is not worn out or broken. Shorts and t-shirts (or whatever your child wears to play his sport) along with plenty of socks and underwear. Sweatshirts, sweatpants, and a light rain jacket should be included for chillier days and pajamas are required for nighttime. Flip-flops or sandals can be packed for downtime as well. Some camps have a special event or two that requires dressier clothing, too. It depends on how tough your child is on clothes and whether laundry is available, but one set of clothes for every day of camp, plus two spares, is a good rule of thumb. It's also a good idea to find out if there are special spirit days where your child will need to wear a particular color or even a costume. Even at camps dedicated to other sports, your child will likely have an opportunity to swim. She should pack a swimsuit or two, goggles, flip-flops, and towels if the camp doesn't supply them. Every camp is different, but you may need to supply sheets, pillowcases, a pillow, a blanket or sleeping bag, towels, and a laundry bag. Be sure to check with the camp to see what they provide. Hats, sunglasses, and plenty of sunscreen can protect your athlete from the sun. Make sure he understands that sunscreen should be applied daily and reapplied frequently. Pack whatever your child uses regularly. She may need a small tote to carry items back and forth from the showers as well. Include some basic first-aid supplies, such as bandages or blister pads, and insect repellent. Find out the camp's policy about prescription and over-the-counter medications your child may need. These often need to be kept and dispensed by camp medical staff. Books, magazines, letter-writing materials, and stamps are also good things to pack. A journal, craft supplies, a Frisbee, or Hacky Sack may also be taken along. Anything that your child enjoys to occupy his time. Many camps don't allow electronics because camp offers kids a time to unplug. If permitted, you can pack an MP3 player, phone, or tablet along with the appropriate charger. However, remind your child that camp is about the sport and making new friends, so reducing screen time can help them get the most out of the experience. There's always the little things that should be packed for camp. Most kids will find a flashlight, water bottle, and alarm clock useful. If the camp allows it, you can also pack their favorite snacks. 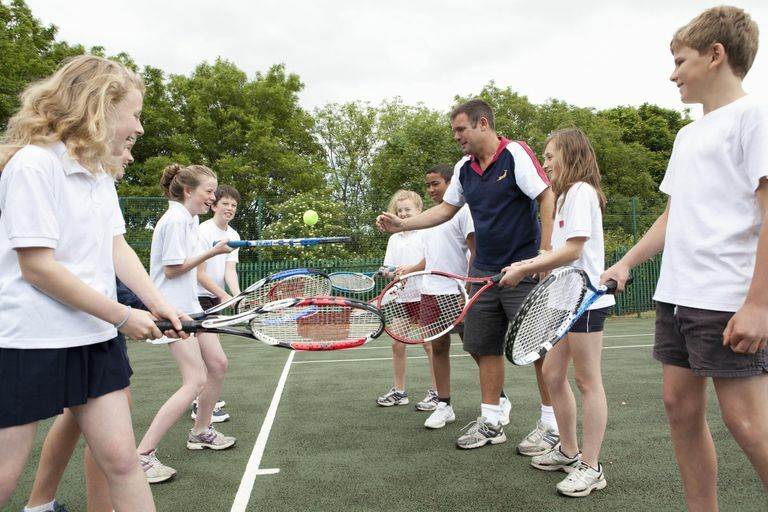 Sports camps offer a great opportunity for kids to refine their skills and meet new people who share an interest. By packing everything they need, you can help ensure they have a great time. Should Your Kid Suit Up for Swim Team? School or Packed Lunch for Their Children? How Can You Maximize SPF Protection for Your Children? Is Ice Hockey a Sport Your Kid Will Enjoy?